VRS TECH, offer absolute Unified Threat Management Solutions in Dubai, UAE. We try to monitor and manage systems or entire IT infrastructure of our organization or company by wrapping up data completely under security levels, where the unauthorized person can’t get access of our system’s data or applications, whatever else. W1e might be using plenty of guidelines, software’s, firewalls etc, to protect our important data but do we really get through in protecting? If so, why we see hacking, malware corrupting our systems, harmful viruses that crashes every file and so on… It happens because of lacking security measures. We, at VRS Tech, cater complex Unified Threat Management Solutions in Dubai and UAE. Our core concept of securing measures prevents form malware, viruses, spyware, Trojans or else any other threats which take part in attacking or crashing the system. 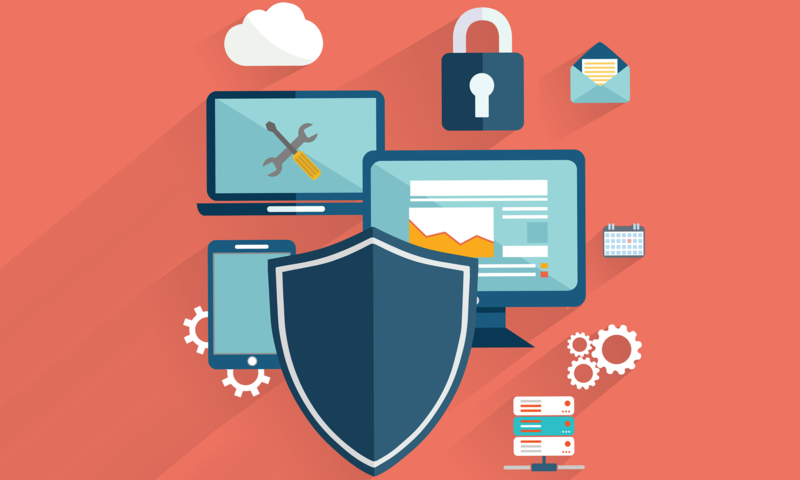 The Unified Threat Management solutions we provide are, with a pack of multi-layered security levels of protection into a fine single and simple platform operated depending upon the complexity of an issue. VRS TECH offers splendid and upheld UTM Solutions Dubai for an effective and easy deployment of infrastructure and management. The births of new security threats require a new level of security solutions and this could happen only through the single point of contact i.e. VRS TECH in Dubai, UAE. One’s organization without any security or UTM solutions together drags your organization, enterprise or infrastructure completely into a worse state. Right? Hence an organization should use Unified security management solutions maintain well-secured resources. Unified Threat Management solutions are widely entertained in high ended large enterprises. Most of the large-scale industries work on the cloud basis. UTM solutions play an outstanding performance on this platform. Delivers most prominent and innovative solutions for small and medium scale organization through UTM security solutions, have become must in any organization to get rid of vulnerabilities. A UTM solution acts a key security level for both hardware and software, depending upon the severity of issues. Unified Security management or USM provides complete end to end security to an enterprise under single monitoring. USM doesn’t require much-layered functionality to secure the system. The extended means of threat detection methods contends threats from the system securely. Unified Threat Management solution integrates with Firewall Network Security and also few of network securities. It acts as a gateway to eradicate Trojans, worms, malware functionalities and lot more. UTM ends up spam mails, filters unwanted messages/ web content and prevention of intruders. USM wipes out the breaches and threats. As we discussed Unified Threat Management works with Firewall security and Network Gateway Solutions, in detail…. What exactly a Firewall Network Security is? Firewall Network Security of Unified Security Management protects from network and security issues as well. Firewall supervises the traffic rate of incoming and outgoing and keeps control over accordingly. The entire system is operated under certain rules and regulations which completely restricts the unwanted and indulges in reducing security threats. We can select the Firewall Network Security based upon on the modules and subscriptions relative to level of one’s enterprise. (large, mid or small). Securing data is definitely at an enterprise risk. To maintain a secured and safe data center, an enterprise should compact using Firewall Network Security. Be it small, mid or large scale industry, Firewall Network Security protects organizations infrastructure and safeguards from hacking systems. Firewall as an antivirus software block detected threats and secures the data with most efficiently and accurately. Firewall connected to single network system has command on the entire network and actively participate in deleting threats. VRS Tech playing a crucial part as Firewall Network Security solution provider for any IT infrastructure or an enterprise in Dubai, we strive to enhance easy methods of solutions to our clients and hence, we are partnered with Fortinet, Watch guard, Cyberoam and Sonicwall, which are named for their valuable security response in any industry. Cyberoam: Cyberoam as a Gold partner of VRS Tech, extends its security measures through an undefined chain of UTM appliances. It establishes the safe security connections of WAN, 3G, Wi-Fi, WiMAX and iPV6. Customized according to the requirements of all types of industries. Generate reports based on the work and solutions provided. Able to control the entire management and their logging concerns. Fortinet: It is the silver partner of VRS Tech. Fortinet deliberately delivers end-end solutions to your enterprise. Delivers dynamic security solutions to the IT components. Ability to provide a popular consolidated set of functions all at one place. Wireless mechanisms and switches proportionally can be accessed independently. Feeds with an integration of security measures and IT components with smooth & obvious deployment. SonicWall: SonicWall is our Silver partner, which delivers finite Unified Security Management (USM) and Unified Threat Management (UTM). SonicWall forbids unauthorized content and intrusions. Below are the few features of Sonicwall. Delivers Multi-layered technology for high-end activities and gives high quality in performance. WatchGuard: Gold partner of VRS Tech. Gives complete network security with superlative speed, response and cost-effective. Potential at providing powerful firewalls. Organizes vast speed 24X7, even when the entire network or system is at complete scanning. Single console to detect and segregate threats & harmful virus. All the four Unified Security Management devices help to access entire network remotely and posses with wireless connectivity. They maintain loyal relationship of connections between networks and remove the intrusion phrase. These are well maintained, emerged and featured with superlative action appliances. What does Network Gateway Solution be for? The same with Network Gateway Solution, it also protects the network by blocking malicious sites, ads, emails or any other virus. Mostly, it acts a defender towards the entire web home. However, Network Gateway Solution provides a complete protection of any infrastructure with robust speed. Structure and Fiber Optic Cabling, CCTV and DVR Service, Annual Maintenance Contract, Cyber Security, Technology Consulting Services and Data Recovery Services are some of the elegant services we offer to our customers. With the controlled configuration of the system on Unified Threat Management modules, we deliver the smart and effortless solutions. We are always just a single click far away from our customers. Our on-time approach, skillful technicians, cost-effective quotes and definitely with innovative solutions & services, makes the need to think about choosing VRS Tech. Are you planning to be one among our VRS TECH prestigious clients in Dubai, UAE? Then just draft an email or ping on our website www.vrstech.com. or give us a call on Ph no: +971567029840.